Prayer for the young: Lord, give me a true respect for my elders. I thank you for their wisdom stemming from the many experiences they have had in life. May I be open to their counsel and be guided by their gentle hand. Jesus, I trust in You. Prayer for the elder: Lord, I thank You for my life and for the many experiences I have had. I thank You for teaching me through my hardships and struggles, and I thank You for the joys and loves that I have encountered in life. Continue to pour forth Your wisdom upon me so that I may help guide Your children. May I always seek to set a good example and lead them according to Your Heart. Jesus, I trust in You. What a great line! The context is important to understand. Thomas said this after Jesus told His Apostles that He was going up to Jerusalem because Lazarus, His friend, was ill and close to death. 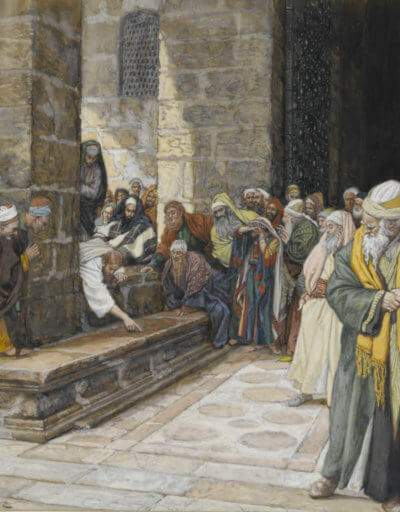 In fact, as the story unfolds, Lazarus actually did die before Jesus arrived at his house. Of course, we know the end of the story that Lazarus was raised up by Jesus. But the Apostles tried to keep Jesus from going to Jerusalem because they knew there were many who had been quite hostile toward Him and wanted to kill Him. But Jesus decided to go anyway. It was in this context that St. Thomas said to the others, “Let us also go and die with him.” Again, what a great line! It’s a great line because Thomas appeared to say this with a certain resolve to accept whatever was waiting for them in Jerusalem. He appeared to know that Jesus was going to be met with resistance and persecution. And he also appeared to be ready to face that persecution and death with Jesus. Of course Thomas is well known to be the doubter. 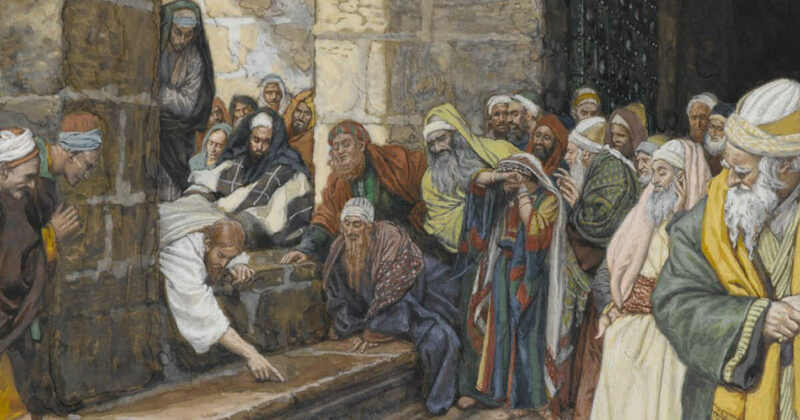 After Jesus’ death and Resurrection he refused to accept that the other Apostles actually saw Jesus. But even though he is well known for his act of doubting, we should not miss the courage and resolve he had in that moment. At that moment, he was willing to go with Jesus to face His persecution and death. And he was even willing to face death himself. Even though he ultimately fled when Jesus was arrested, it’s believed that he eventually went as a missionary to India where he did ultimately suffer martyrdom. This passage should help us to reflect upon our own willingness to go forth with Jesus to face any persecution that may await us. Being a Christian requires courage. We will be different than others. We will not fit in with the culture around us. And when we refuse to conform to the day and age we live in, we will most likely suffer some form of persecution as a result. Are you ready for that? Are you willing to endure this? We also must learn from St. Thomas that, even if we do fail, we can start again. Thomas was willing, but then he fled at the sight of persecution. He ended up doubting, but in the end he courageously lived out his conviction to go and die with Jesus. It’s not so much how many times we fail; rather, it’s how we finish the race. Reflect, today, upon the resolve in the heart of St. Thomas and use it as a meditation upon your own resolve. Do not worry if you fail in this resolve, you can always get up and try again. 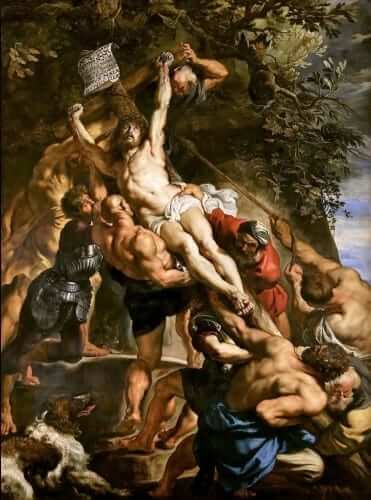 Reflect also upon the final resolution St. Thomas made when he did die a martyr. Make the choice to follow his example and you, too, will be counted among the saints of Heaven. Lord, I desire to follow You wherever You lead. Give me a firm resolve to walk in Your ways and to imitate the courage of St. Thomas. When I fail, help me to get back up and resolve again. I love You, dear Lord, help me to love You with my life. Jesus, I trust in You.